A new gearhead-oriented Lego set will be hitting store shelves soon, and it promises to be the best thing you can do with your time regardless of who or how old you are. 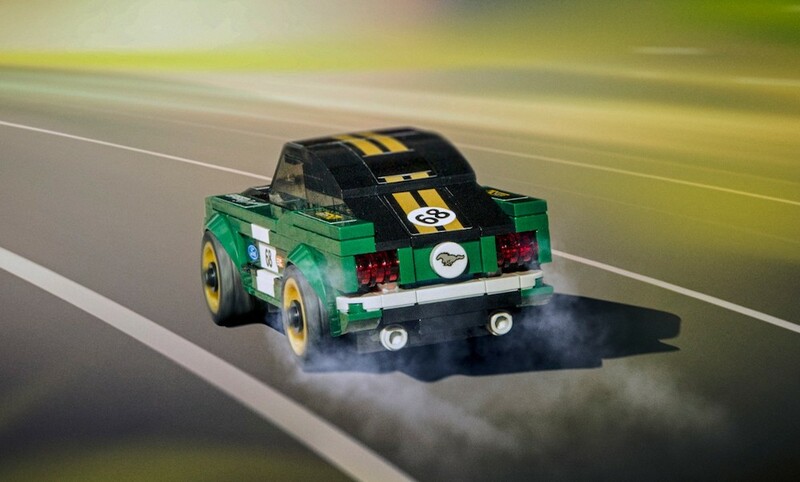 Ford has once again teamed up with Lego to celebrate its rich heritage with the addition of a 1968 Ford Mustang Fastback to the Speed Champions product line. The vintage pony car comes in a green hue reminiscent of the recently unveiled Mustang Bullitt, but unlike the real deal, this mini muscle car sees the addition of dual gold stripes across the length of the body. Even the gold wheels are period-correct, and Ford has thrown in race graphic stickers and a Lego dude/driver wearing a vintage racing suit. 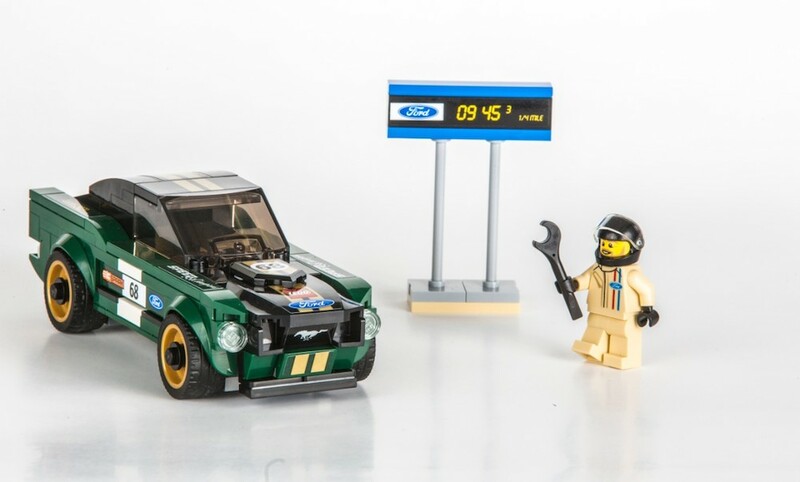 “The new Ford Mustang Speed Champions set gives parents and children the chance to share their passions – generations of fans have grown up building Lego sets and spending time together behind the wheel,” said Myra Lind, LEGO Speed Champions marketing manager. As the proud owner of at least a dozen Lego Speed Champions sets (including all the Ford ones), I can't wait until this vintage racer hits the shelves. Ford claims the set will go on sale March 1, and be priced at $14.99. This kit isn't available from retailers in the US, so I had to buy one from eBay Germany.